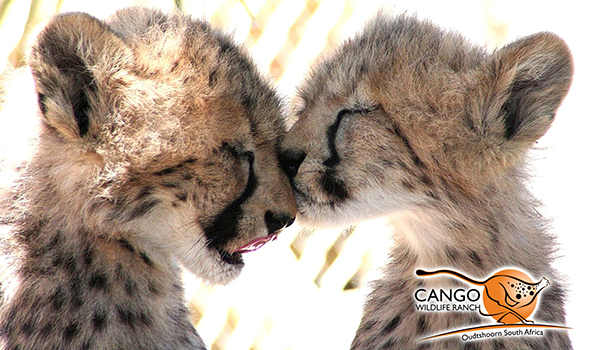 Visit us at Cango Wildlife Ranch for the day of your life! 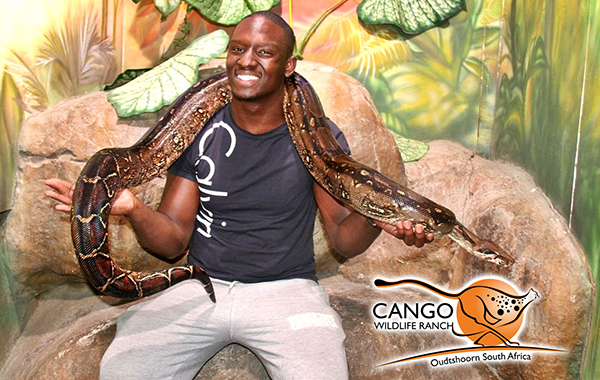 "The Cango Wildlife Ranch offers visitors a huge variety of awe-inspiring activities at one location for a value packed price! Guests will NOT forget this experience! It is a once in a lifetime opportunity not to be missed." We are open 365 days a year from 8.30am (including public holidays). Our last tour is at 4.30pm out of season and 5pm in season (during school holidays). 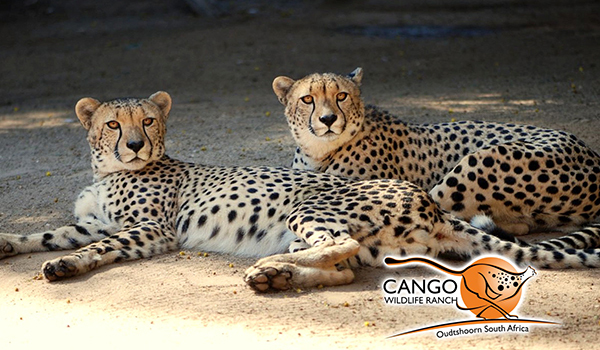 Cango Wildlife Ranch is considered among the world´s top tourist attractions and conservation education destinations on the continent. 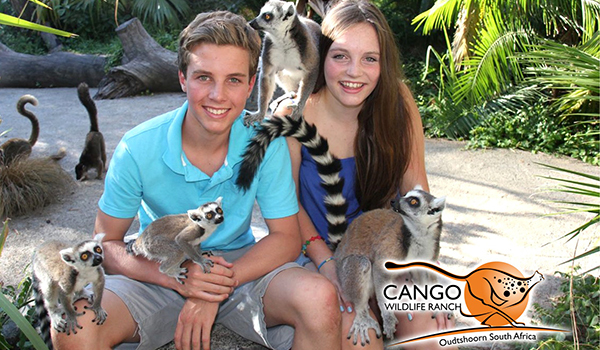 Situated in the heart of the Garden Route only 3km from the centre of Oudtshoorn, this world-class facility not only takes visitors on a one hour fully-guided tour to view 90 species of animals. The Ranch also boasts a fully-licensed a la carte restaurant and is able to provide groups with amazing menus upon request and we also cater for Kiddies Parties. For an additional fee, our professionally run Natural Encounters program allows guests to get up close and personal with select ambassador species. Aside from the amazing experience of croc cage diving (first in the world! 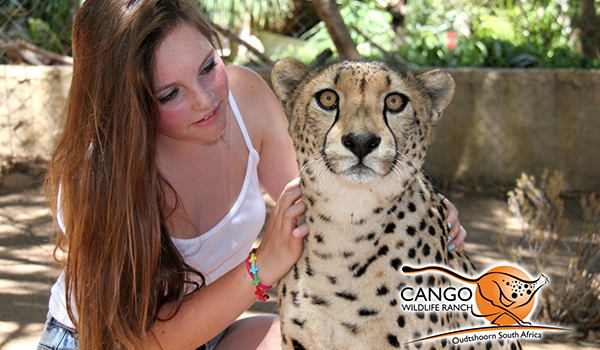 ), we also offer encounters with our tigers, cheetah, snakes, lorikeets, lemur and other animals. 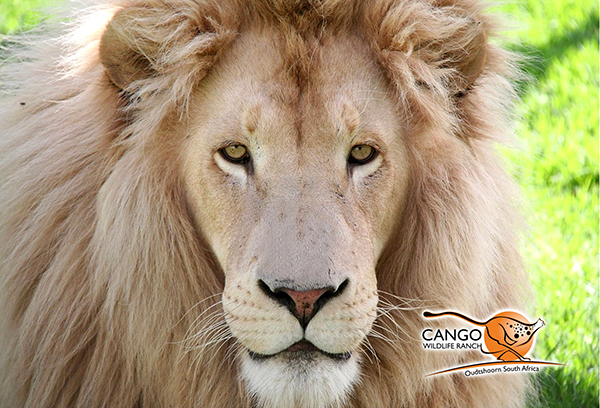 As one of South Africa´s oldest big cat contact centres, we strive to maintain the highest level of safety and professional ethics whilst instilling conservation through education. Our fully equipped photographic department will capture that special moment on camera providing each p articipating client with a complimentary photograph. The Crocodile Cage Dive is closed during winter (June, July and August) and commences again the 1st of September. Please feel free to contact us should you require any further information or if there is anything we can do to ensure that your groups enjoy great experiences. Needless to say, we always have a number of encounter opportunities available to choose from. After your visitors have experienced the purr of a cheetah, we are happy to host them for lunch (bookings must be made in advance) where we boast free wi-fi! Afterwards, they can stroll through our well stocked curio shop before departing. We look forward to welcoming your groups to our Ranch. The main functions of the root are anchorage, absorption of water and salts from the soil and conduction of these substances to other parts of the plant.